Black Leather Color. Best Choice with Uniforms / Shirt. 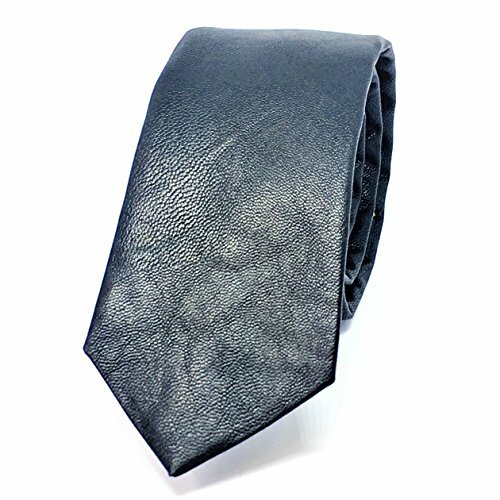 100% Genuine Lamb Leather Necktie is a very Fabulous and Amazing leather necktie / tie, This Leather Neck Tie can be worn with Business outfits and party wear and Specially Uniform shirts look cool with this Leather Tie. It can be a Perfect gift for men. This Leather Tie can also be custom made as per your desire. 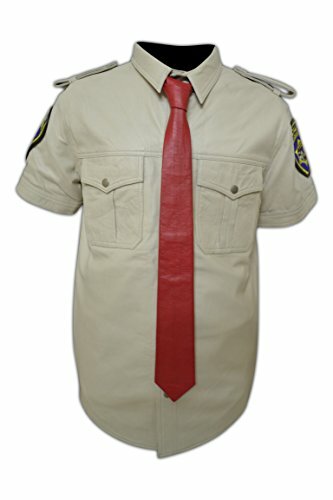 You can also customize the width and length of this Leather Neck Tie. Message us for custom work, We also sell this Leather necktie in various colors, if you don't find any color that you want then you can contact us and get the color of your choice. 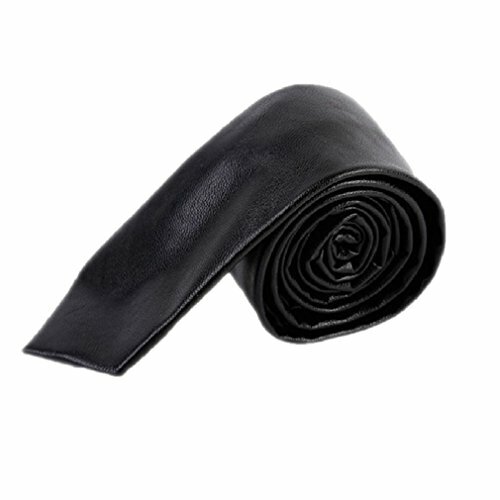 This Leather Necktie is made of 100% Genuine Lamb Leather which is a very durable and premium quality leather. This type of genuine lamb Leather can not be found easily anywhere else. Leather is a natural material. Make a great impression with our trendy and stylish leather tie, Ideal for both dress or casual wear. A must have for your neck wear collection that you won't find anywhere else easily. If it is genuine lamb leather tie then it will have to have seam. Leather Wear from the SouthBeachLeather are made of genuine leather. Color: Red. 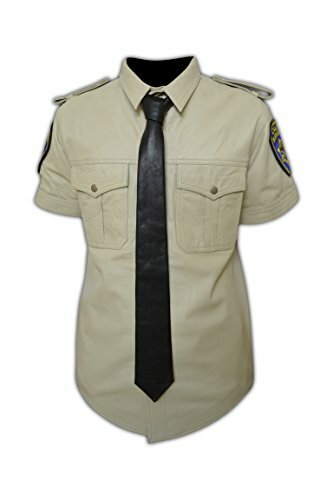 Best Choice with Uniforms / Shirt. 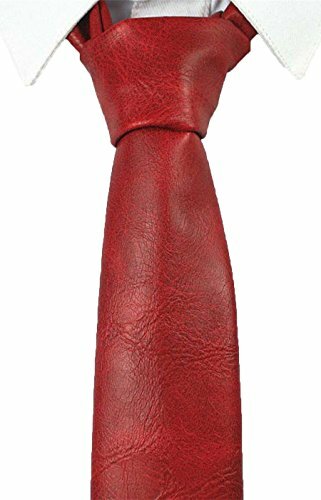 100% Genuine Lamb Leather Necktie is a very Fabulous and Amazing leather necktie / tie, This Leather Neck Tie can be worn with Business outfits and party wear and Specially Uniform shirts look cool with this Leather Tie. It can be a Perfect gift for men. This Leather Tie can also be custom made as per your desire. You can also customize the width and length of this Leather Neck Tie. Message us for custom work, We also sell this Leather necktie in various colors, if you don't find any color that you want then you can contact us and get the color of your choice. 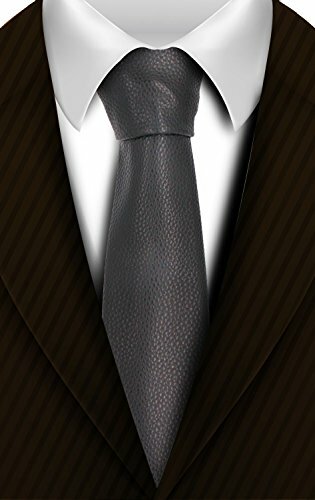 This Leather Necktie is made of 100% Genuine Lamb Leather which is a very durable and premium quality leather. This type of genuine lamb Leather can not be found easily anywhere else. Leather is a natural material. Make a great impression with our trendy and stylish leather tie, Ideal for both dress or casual wear. A must have for your neckwear collection that you won't find anywhere else easily. If it is genuine lamb leather tie then it will have to have seam. Leather Wear from the SouthBeachLeather are made of genuine leather (No mass import!). Other colors available too. 80'S infamous leather tie trend is back with a bang and ready to add some "hipster" to any outfit! Cut from soft top quality faux leather so it's easy to knot and looks great every time you put it on. Textured surface of this tie gives the outfit a great look!! 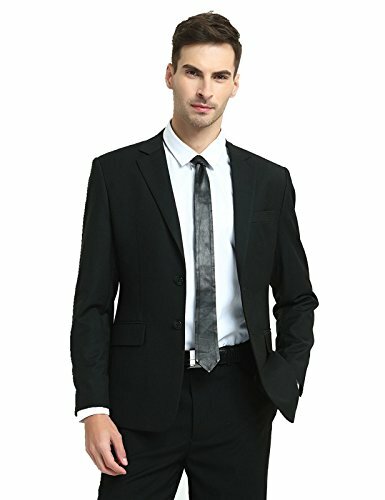 Looking for more Leather Skinny Tie similar ideas? Try to explore these searches: Warrior Products Half Doors, Breed Black Dachshund T-Shirt, and Mahogany Stain Oak. Look at latest related video about Leather Skinny Tie. Shopwizion.com is the smartest way for online shopping: compare prices of leading online shops for best deals around the web. Don't miss TOP Leather Skinny Tie deals, updated daily.